Below are some local events coming up this weekend in Downtown, West Chester! For more information visit http://www.downtownwestchester.com. 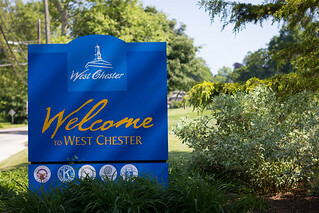 Downtown West Chester welcomes the alumni, parents, and friends of West Chester University for Homecoming as the Rams play East Stroudsburg University Warriors on Saturday at 2:00pm. Coverage on WCHE 1520AM. Enjoy a brisk fall afternoon along the Chester Creek Valley from the comfort of an excursion train that takes you on a 90-minute journey to the village of Glen Mills and back. See West Chester Railroad for details.